Introteknik AB – The specialists on maintenance of metal structures. The Isotrol Alkyd system is the only one that is approved by the Swedish Transport Administration for maintenance without sand blasting as pre-treatment. Isotrol rust protection systems do not require sand blasting and give a perfect result on complicated constructions, like riveted bridges or cranes. Choose our Isotrol Alkyd system to preserve a antiquarian aesthetics with an effective paint system for culturally interesting objects. Introteknik AB are manufacturer and retailer of rust protection paint for industry, roof sheets and steel infrastructure. Our unique rust protection system has been developed and tested over a period of more than 30 years. 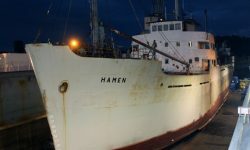 Conventional systems demand a pre-treatment removing old rust with sand blasting or grinding. Our Isotrol primer enables painting of surfaces where only loose rust is removed. That is why we can provide solutions for rust protection where others cannot. 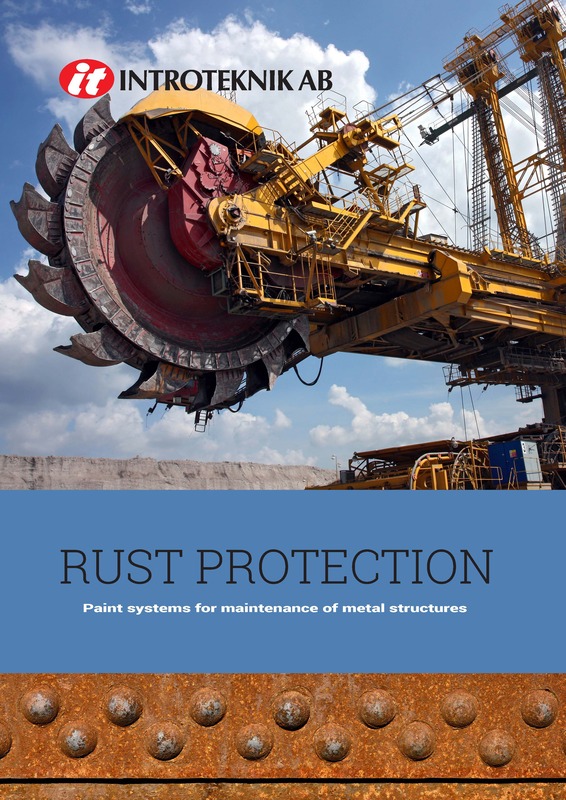 Do you want to know more about Isotrol rust protection systems? Our unique system is based on a penetrating and surface tolerant primer combined with barrier building top coats. Either a alkyd system, or a hybrid system med alkyd primer and top coat of epoxy/polyurethane. We have developed and tested our alkyd system for more than 30 years and the hybrid system has been tested during 10 years practical tests. Our latest addition is Isotrol MasterSeal system which combines our Isotrol Primer with a epoxy primer/intermediary coating. Thus providing a unique system.